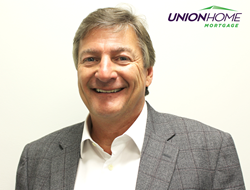 Union Home Mortgage Corp. (UHM) is excited to announce new UHM partner, Craig Franczak, as their East Coast Regional Sales Manager. East Coast Regional Sales Manager, Craig Franczak, will recruit and develop partners by using his expansive knowledge of the industry. Overall, with his success in regional roles, he will implement infrastructure and systems to support and deliver profitable growth for the company. “I am looking forward to fully immersing myself in the company’s team-oriented culture and using the tools and resources UHM has made available to me, so I can better serve my customers,” he added. Franczak has been working in the banking industry for over 25 years. He has a passion for establishing productive teams, with a constant eye on customer service. Franczak is well known for his accomplishments at Washington Mutual Bank and PNC Bank, where he managed branches throughout Pennsylvania, New Jersey, Maryland, Virginia, and more. Previously, Franczak was also Area Sales Manager at Wells Fargo where he was responsible for sales and operations. UHM is known for its outstanding leadership in the mortgage banking community, and the addition of Franczak helps bolster this reputation. The organization, as a whole, is extremely fortunate to be welcoming this new Partner. For more information about the leadership team at UHM or how you can join their growing company, please visit them at UnionHomeMortgage.com.